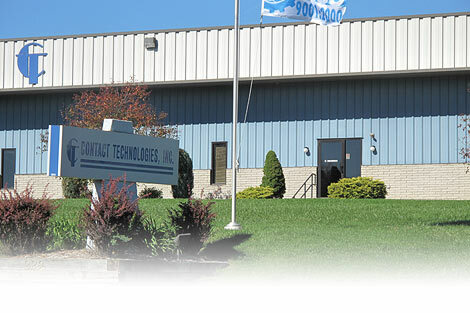 We at Contact Technologies, Inc. shall strive, individually and collectively, to achieve total customer satisfaction through on-time delivery and complete conformance to customer specifications. Contact Technologies is ISO 9001:2015 registered. A well-trained workforce utilizing Statistical Process Control and in-process inspections at each manufacturing operation is the basis of our quality process. Final inspection to an approved sampling plan is conducted to certify compliance to customer part specification. In addition, chemical analysis performed for each manufactured lot of material to verify accuracy of metals content. CTI is routinely audited by its electrical OEM customers, and is rated "World Class". CTI invites its customers to visit and audit our operations. CTI, as a customer-focused company, knows the value of customer service, from the application engineering and quotation process through prototype sampling and into full production. CTI responds quickly to materials engineering and quotation requests. A fully equipped and staffed tool and die shop enables CTI to respond quickly to prototype samples and to move customer designs into full production in a timely manner. This is accomplished by use of Just-In-Time, Cellular Manufacturing, and Pull type systems, thereby providing manufacturing flexibility. In partnership with the customer, CTI is open to many "Vendor Managed Inventory" programs.